I work in a large variety of media: from casting in metal and plastic to painting with oil, gouache, or wax. This website attempts to cover a variety of media. 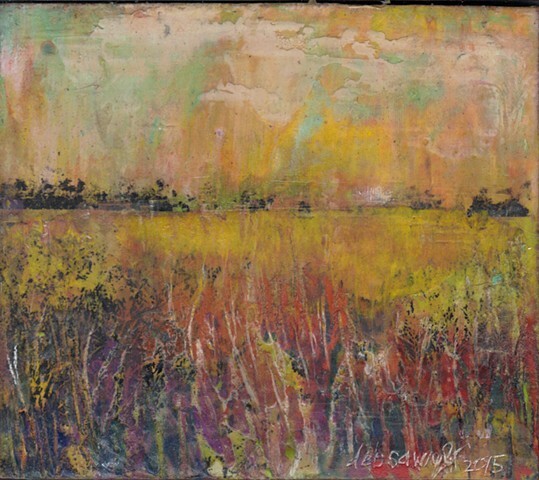 My newest medium is painting with pigmented wax, and is featured in my ENCAUSTICS and LANDSCAPES galleries. I have created a variety of artwork inspired from different parts of the country where I've lived. From my New Jersey roots to NYC to Minneapolis and now back in Southern Illinois, I integrate my environment into my work. Through the process of casting, I create objects that my customers interact on a daily basis. Take a look at my lightswitch covers and drawer pulls in my PLASTIC CASTINGS page. My series of two dimensional work inspired by abandoned automobiles and rusted metal are included in my JUNKYARD ARCHIVES page. Thank you for looking and feel free to email me if you have any questions.